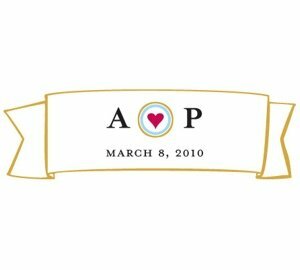 Measuring nearly 3" across, these miniature banner labels are customized with your initials with a red heart design in between. 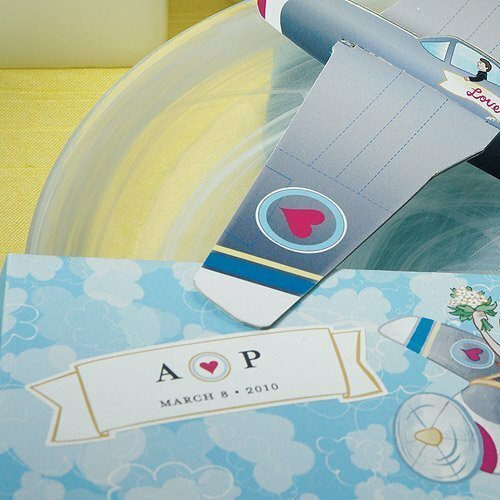 A fabulous way to decorate larger favors such as our paper glider envelopes, item number 8671. You may use these stickers to embellish the wedding guest hotel welcome packages and other party accessories. You must buy at least 36. Product dimensions: 3.12" x 1.014".